The quiet, picturesque Italian seafront town of Sapienza is a retiree's dream. Bathed in sun, the cobbled streets are full of cafés, trattorias, and street performers – not to mention the diamond blue sea, and the quaint old church that sits next to it. 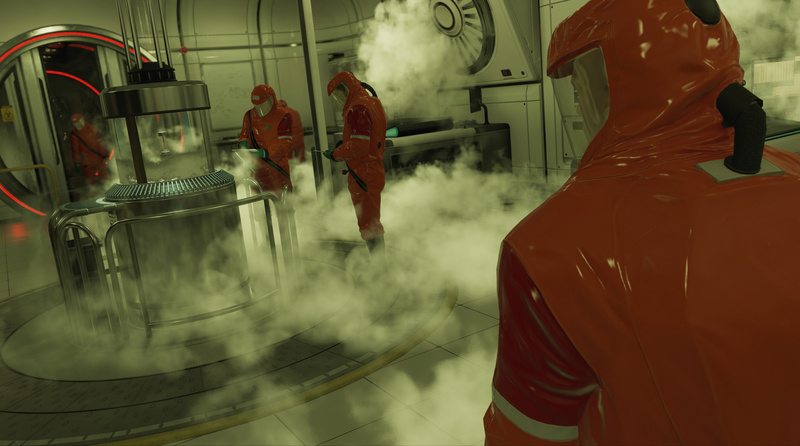 How strange, then, that for all its serenity, Sapienza works exceptionally well as an environment for Agent 47 to do his dirty deeds – while also hiding the dirty deeds of the scientists and locals residing there. See, the aim of the egghead's mission this time around is to take down Silvio Caruso, a bio-engineer that's working on a deadly virus that can be contained in a bullet, threatening 47's – and The Agency's, for that matter – whole existence. Along with that, you'll have to destroy said virus, residing under Caruso's beautiful mansion, and kill his lab head Francesca de Santis just for good measure. 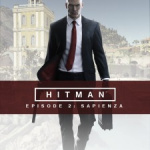 Right from the get go, Sapienza feels like the ultimate Hitman mission. Sitting on a bench in a smart shirt and Italian shades, 47 looks like the typical James Bond-esque spy – just with less of the charm and more of the killing. There are plenty of new weapons for you to get your teeth into, including a more powerful sniper rifle, as well as plenty of unlocks as you level up, all which can be used in previous missions, which adds some value. 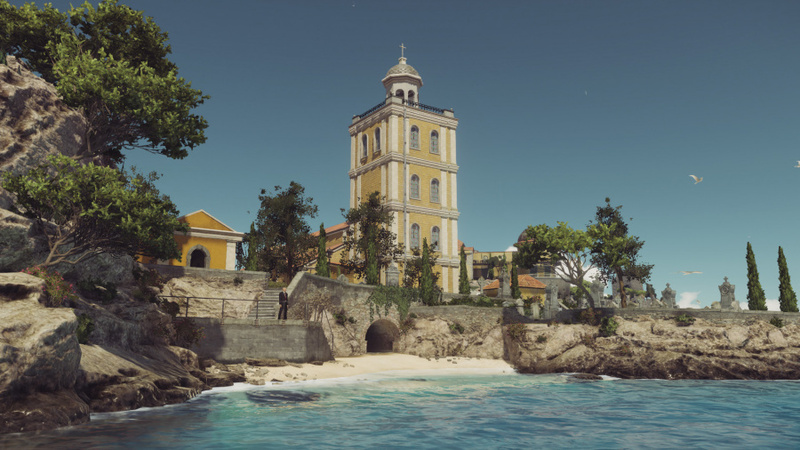 What's surprising – and perhaps, what's best – about Sapienza is how the deaths and kills seem brutal, a juxtaposition to the surroundings. You can push your targets off cliffs, drop them into shredders, or strangle them and throw them into the sea, and even when you're caught, the general relaxed atmosphere never seems to change. In one instance, when we positioned 47 behind a wall to hide from the heat, a tourist came by and asked us if we were searching for coins. It's those little moments that make so appealing. The Opportunities hide some of the best moments you can have on the map, too: whether it's cartoonishly cool (two hairdressers talking about a private detective hired by de Santis) to the funny (a kitchen assistant failing to wake up for his first day at Caruso's mansion) to the downright dark and depressing (a scientist in a confessional booth at the church, repenting for the death of a colleague). The latter Opportunity is arguably the best because it reveals almost another layer to 47. Sure, he knocks out people and steals their uniforms, but has he gone too far when he steals a dead man's clothes from a morgue and assumes his identity? As well as moral questions, Sapienza has a chock load of replayability thanks to its 75 plus challenges, new Escalation missions, and a fresh PS4 exclusive 'Sarajevo Six' contract set in the level. Hitman has always been about trial and error, successfully completing a mission, and then finding a better or more exciting way to do it; Sapienza lives and breathes that ethos. Thanks to the much-improved loading times – they still are a tad too long, though – and the ability to instantly reconnect to a mission if you lose connection, restarting missions now feels more seamless, too, and much less of a chore. In some ways it's a shame that Sapienza wasn't Hitman's first mission. 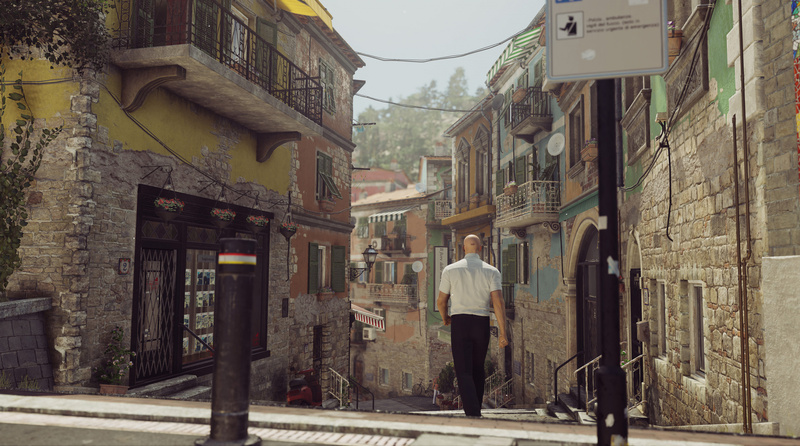 With its excellent world-building, well-worked atmosphere, and beautiful setting, the sleepy coastal town is one of the best Hitman missions in recent memory, and it's quality – and quantity – of content should convince most to quit waiting and spaghett(i) this title already. Trust us, you don't want to look pasta this one. Not sure how much longer I can resist this. I love the locations they've done so far, and this looks top-notch yet again. @get2sammyb I know how you feel because I gave in yesterday and picked up the starter pack. People have told me the game is actually more enjoyable in chunks because the levels are big and there is so much to discover and do. You need to play them multiple times and only having one level at a times works really well. It's nice to know this is shaping up nicely. But the real question is, are the Chuckle Brothers involved? @get2sammyb I know the feeling - but I'm not going to break, I'm waiting until the whole package is done. Bellissimo. Add the missing "s" in the tagline. I'll wait for the disc version. I'll wait for the full release as physical release. The first 3 screenshots are in the brochure. The 4th screenshot is your actual room. While it's a great level(better than anything in Absolution) and I've been having fun with it, I'm actually really annoyed that they didn't release two levels this go round. The first pack had about that much content after all. Me too. Full release on disc and I'm all in. Once all the episodes are up will there be a physical release? Has that even been discussed anywhere? I love Hitman. I've just never been big on digital downloads. @Churchy I sure hope so! @kyleforrester87 Trust me, you won't be disappointed. I wouldn't buy the entire season pass yet, but it's a good idea to buy Sapienza considering it's the pick of the bunch thus far. @thatguyEZ I suppose, but then again the training missions in the Intro Pack were very small in comparison to Paris and Sapienza. If they put as much effort into later levels as they did with Sapienza, then I'm fine with them releasing 1 level, as much as I'd like two. @VenomSnake08 @JaxonH @fabisputza00 @Frank90 The only real news about a physical release is that one's apparently coming at the end of the year once all the packs are released. At least there are plenty of games to tide you over until then! @Anchorsam_9 That's good news. I'll definitely get it when all the episodes are released. Hopefully this holiday, there isn't too much that I'm planning to get, so this will be great. The location looks great for any video game. Bald man with barcode on back of head, black suite with red tie, metal attache case, expressionless face, sitting alone on a bench in a plaza, and in a picturesque seaside town in Italy where everyone is dressed casually. Nothing suspicious here, right! Like the first episode, this is just one great mission and a tonne of filler.